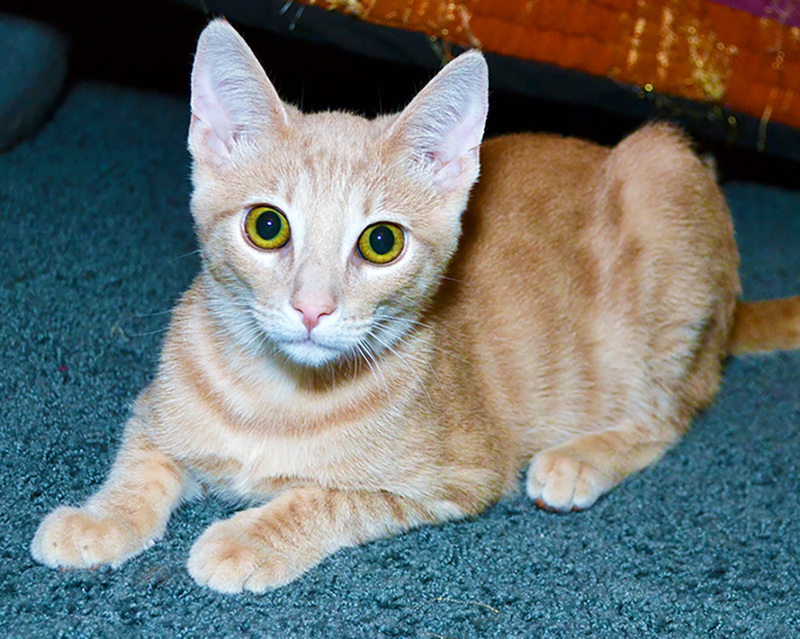 You are here: Home / Adopted Cats / Cassian – Adopted! 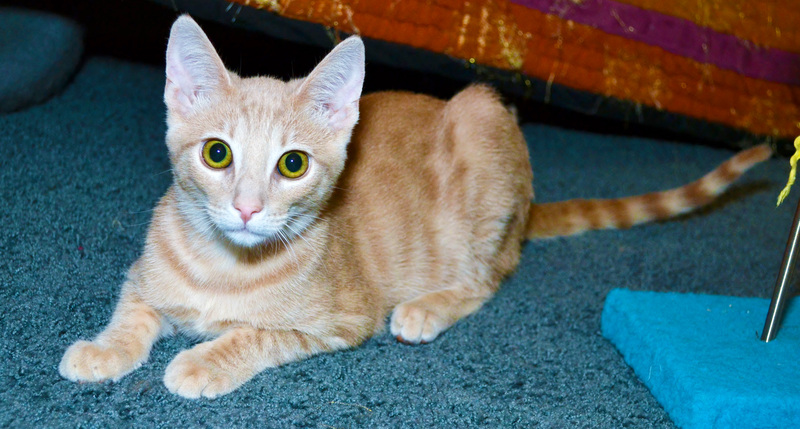 Meet Cassian – a playful boy ready to find his forever home! 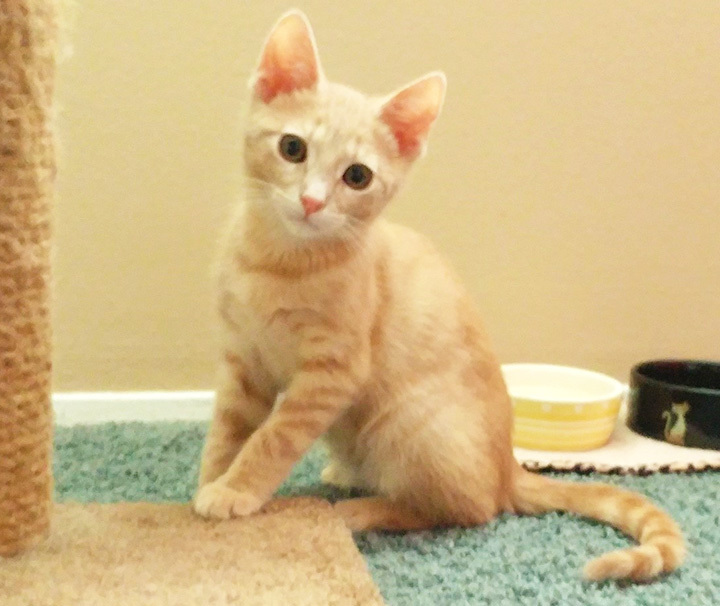 Cassian and his two sisters, Jyn and Lirah, were rescued from Devore Shelter by the KD Team in June, 2018. He was estimated to be about 2 months old at the time of his rescue. Named after the Star Wars: Rogue One character, Cassian Andor, our little Cassian lives up to his name. He’s smart and adventurous. Like most kittens he loves to play, eat and be mischievous. He loves pets, chin scratches and belly rubs and when he’s really happy he’ll give kisses! Cassian seems to always be on the move, seeking attention when he wants it, playing with his toys or running around with his sisters and foster brothers. He has a friendly temperament and after some initial shyness, warms up to strangers pretty quickly. 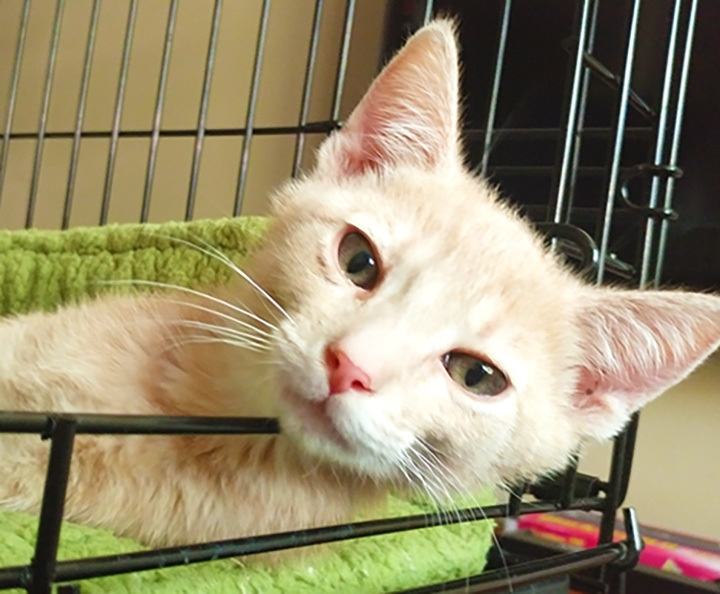 Cassian would do best in a home with other kitty friends – he has a great time with his sister, Jyn, and we’re sure the force would be strong in a house with those two! Cassian was adopted with his buddy, Adagio, on October 13, 2018!